Philosophical education has its basic objectives, first, the disposition to seek truth, and, second, the capacity to conduct rational inquiry. Training scientists, for example, requires the inculcation both of an ethic of inquiry – do not fabricate or distort results, take care to prevent your hypotheses (or desires) from affecting your observations – and the techniques of inquiry appropriate to the discipline (my book A dictionary of thought distortions is a manual in rational inquiry, or critical thinking). There are of course many different forms of philosophical education, corresponding to the numerous ways in which truth may be pursued (my own method is philosophy seen as an art of life – see my articles What is philosophy? and Philosophical counseling as an alternative to psychotherapy). 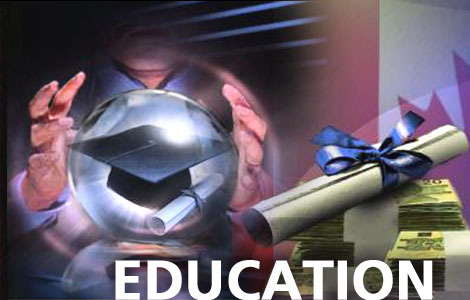 Nevertheless, these forms of education share two key features. First, they are not decisively shaped by the specific social or political/religious circumstances in which they are conducted, or, to put it the other way around, they are perverted when such circumstances come to have a substantive effect. There is no valid distinction between “Jewish” and “Aryan” physics, or between “bourgois” and “socialist” biology; truth is one and universal. Ideologies are using propaganda in order to get their “truths” forced through. In that connection they use thought distortions. Thought distortions are “techniques”, that, unconsciuos or conscious, are used from an interest in finding ways of getting on in the world, rather than an interest in finding ways of discovering the truth. Thought distortions are the background for poor reasoning, diversionary ploys, seductive reasoning errors, techniques of persuasion and avoidance, psychological factors, which can be obstacles to clear thought (again: see my book A Dictionary of thought distortions).